Traditional teaching methods, at least in the West, have always revolved around the figure of the teacher as the nucleus of student progression, with extra learning support being given later to reinforce the imparted knowledge. So-called flipped learning, however, proposes that each student learns at their own pace outside the classroom, with class attendance, collaboration with classmates, and teacher support being key to cementing individual learning. To strengthen this system, technology has become indispensable. We live in a completely contradictory world when it comes to incentivizing and promoting inventiveness. Entrepreneurship is the future, according to the ‘experts’ on the subject. We’re constantly be urged to take the reins on our destinies, but that spirit, that disposition, doesn’t arise from nothing and requires a long process of cultivation that starts in childhood. Being an autodidact and knowing how to self-evaluate to gain confidence is the cornerstone of this philosophy. But this is far from a new trend. A half-century ago the Japanese, advanced as they are ahead of the rest of us, established the Kumon method, created by a professor attempting to improve his child’s math skills with small worksheets done at home every day. This leaves it up to the child herself to decide her pace of progress, in many cases even outperforming her own class. You don’t have to be super clever to see how crazy kids these days are about mobile devices. Several studies confirm stunning facts such as that 36% of babies of less than a year old can touch the screen of a smartphone to swipe photos forward or start videos; some 93% of kids between 8 and 11 are habitual users of YouTube. Technology seems to have taken root firmly enough in kids’ daily lives that it makes a lot of sense to deploy it in the academic sphere as a learning tool. But it’s quite another thing to mix apples and oranges. 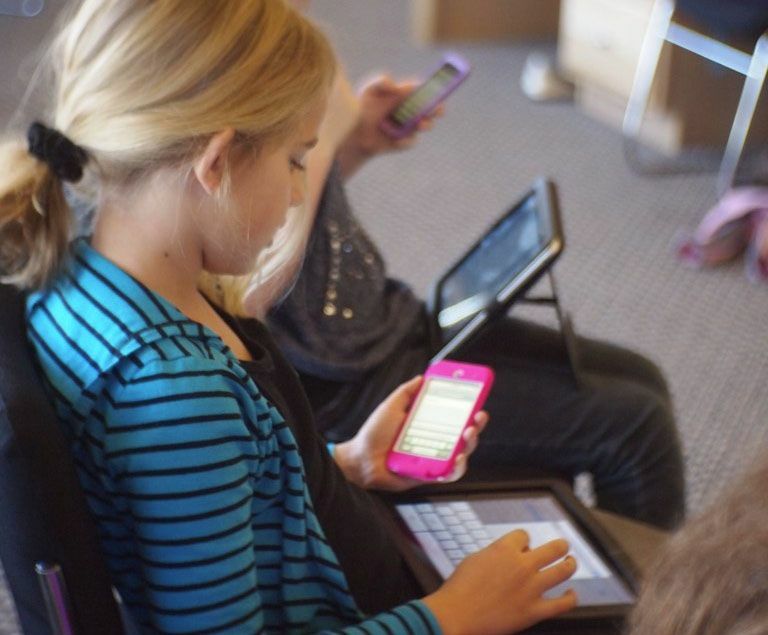 Having a mobile on in class is not exactly productive, and in fact lots of schools are starting to implement strict measures against technification and young people’s addiction to technology in their leisure time. In the U.K., for instance, the Ministry of Education has begun discussing the possibility of officially prohibiting the use of smartphones and tablets in class. That might be barking up the wrong tree: educational standards should instead learn to deploy this technology in its own favor. Marcos Garasa, educational director at Innovaschool and expert in the development of new educational methodologies, confirmed in an interview that ‘It’s the end of lectures, they were invented in the 18th century and it’s time to bring ourselves up to date or die’. We parents have the possibility to begin this wave of change with our children by promoting their capacity to step out on their own and make an effort.